getsix® Services has been a designated Microsoft Managed Partner since 1st July 2015. This means we are at the forefront when it comes to business development. 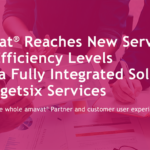 As it happens, getsix® Services are also one of only a few Microsoft RAMP Partners in Poland, meaning that we have the competences to sell Microsoft Dynamics NAV Subscription Licenses. 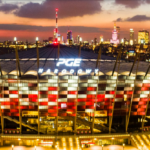 From among all Microsoft NAV Partners in Poland, Microsoft chooses a few elite companies to elevate to the status of Managed Partner, assigning each one its own representative to work with directly. With Subscription Licensing, you license non-perpetual rights to use the software, meaning you can use the software only during the term of the agreement secured by periodic payments. This model lowers your initial licensing costs and provides you with the flexibility to increase or decrease subscription license counts from one subscription term to the next. 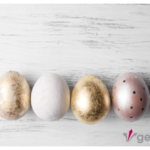 You can use Subscription Licensing when you want to have the ERP solution hosted and managed as Software-as-a-Service (SaaS) by getsix® Services. Alternatively, the software may be deployed on your premises, provided that getsix® Services or any other Microsoft Dynamics NAV partner provides day-to-day management services and maintains sole control over the solution. Standard User SAL is a required SAL that entitles the licensed user to perform Full User tasks across the ERP Solution using all of the functionality included in the Starter Pack. Every Full User requires a Standard User SAL. The Standard User SAL grants all licensed users the right to use the functionality contained in the Starter Pack. Extended Use Additive SAL is an optional functionality license type, additive to the Standard SAL, which expands the rights of all licensed users to perform tasks using all of the functionality in the Extended Pack. The Extended Use Additive SAL grants all licensed users the right to use the functionality contained in the Extended Pack as long as every Full User licensed with a Standard User SAL is also licensed with an Extended Use Additive SAL. Limited User SAL is an optional access license type that entitles the licensed user to perform Limited User tasks across the ERP Solution using the same functionality footprint available to the Full Users. Every Limited User requires a Limited User SAL. Refer to Appendix B: Microsoft Dynamics NAV 2015 for Subscription Functionality for a list of the included functionality in the Starter Pack and Extended Pack. To choose the appropriate SAL type, determine the functionality you require for the ERP solution. If you require only the functionality included in the Starter Pack, then license Standard User SALs (or a combination of Standard User SALs and Limited Use SALs). If you also require the functionality of the Extended Pack, then license Extended Use Additive SALs for all Standard User SALs. Note: You must license Extended Use Additive SALs in the same quantity as Standard User SALs. 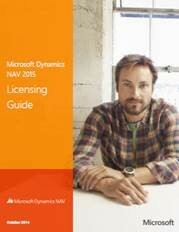 Note: Microsoft Dynamics NAV 2015 includes at no charge, one SAL for an External Accounting User using the client software only for the sole purpose of providing supplemental professional accounting or bookkeeping services related to the auditing process, and one SAL for a System Administer User for an employee of your Microsoft Dynamics partner to manage your application and provide support. Microsoft Dynamics NAV 2015 is licensed on a monthly basis, giving you the flexibility to adapt your SAL counts from one month to the next as required by your changing business trends. When adding SALs, the cost of the license will be pro-rated based upon the time remaining in the current month’s term (based on a standardised 30 day month). So, for example, if there are 10 days left until the end of the term, you will pay the monthly charge divided by 30 times 10. When removing SALs, the reduced SAL count takes effect at the start of the subsequent monthly term. The only commitment for Subscription Licensing is a full month term so, except for having to let your subscription run its course until the end of the current term, you can cancel at any time without any penalties. Licenses for additional software that may be required for the solution – such as Microsoft Windows Server, Microsoft SQL Server, and Microsoft SharePoint Server – and their corresponding Access Licenses are not included with the Microsoft Dynamics NAV 2015 licenses. You must acquire any necessary licenses for these additional products under the licensing model for the particular product (which may be different than the model used for Microsoft Dynamics NAV 2015). To learn more or acquire licenses for additional software, find and contact us.